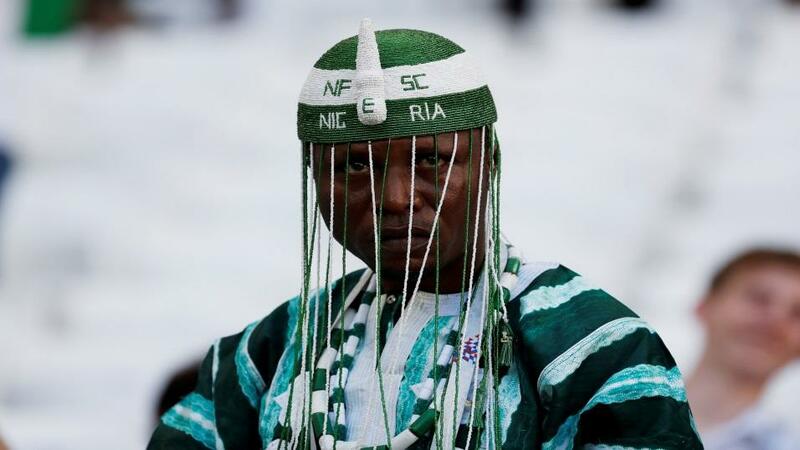 Are Nigeria heading for the second round? "There's little evidence to suggest La Albiceleste deserve their [1.60] pre-match quotes in the Match Odds market." Nigeria kept their World Cup campaign alive with an electric second-half performance against Iceland to leave Group D intriguingly poised. The Super Eagles knew defeat would have been curtains in Volgograd but two Ahmed Musa goals after the break swept the debutants aside. Having started the day bottom of the group after a lifeless 2-0 loss to Croatia, Gernot Rohr's men started slowly, becoming the first team in Russia not to have a shot in the first 45 minutes. But Nigeria were a different proposition after the break as they went on to secure a second win in 14 games at a World Cup finals. Musa stole the show, displaying superb technique to fire the Super Eagles ahead on the half-volley before rounding Iceland's keeper to double the advantage. The recalled Leicester man also hit the crossbar as Nigeria eased to three points despite conceding a late penalty, that Gylfi Sigurdsson fired over. The youngest squad at the tournament now know victory on Tuesday would see them progress to the knockout stages and Rohr was keen to keep their feet on the ground post-match, suggesting his team are still a work in progress. No major changes are expected ahead of their pivotal clash with Argentina. Argentina head coach Jorge Sampaoli was left begging for fans' forgiveness after seeing his crumble against Croatia last Wednesday night in Nizhny Novgorod. La Albiceleste were beaten 3-0 and are now facing the very realistic prospect of an early World Cup exit with destiny no longer in the South Americans' control. Sampaoli switched system back to his preferred three-man defence but Argentina were easily exposed on the flanks in the first-half, conceding three first-half chances behind the full-backs. Elsewhere, Enzo Perez missed a sitter and looked out of depth in midfield, while Lionel Messi was a passenger. La Albiceleste reached the interval unscathed but their nightmare unfolded soon after a dreadful error from goalkeeper Willy Caballero gifted Croatia the opening goal. His attempted chip backfired badly and the Argentine squad wilted thereafter as heads dropped in bemusement and misery. The introduction of Gonzalo Higuain and Pablo Dybala failed to stem the bleeding and the South Americans must now beat Nigeria and hope that Iceland don't pick up maximum points against Croatia. There's a suggestion that Sampaoli's been stripped of his power with mutiny in the ranks. The suggestion from the Argentina training base is that Sampaoli's been relinquished of major duties with player power rebelling against his leadership. Rumours persist that Lionel Messi and Javier Mascherano have taken control with crisis meetings held amongst the squad. 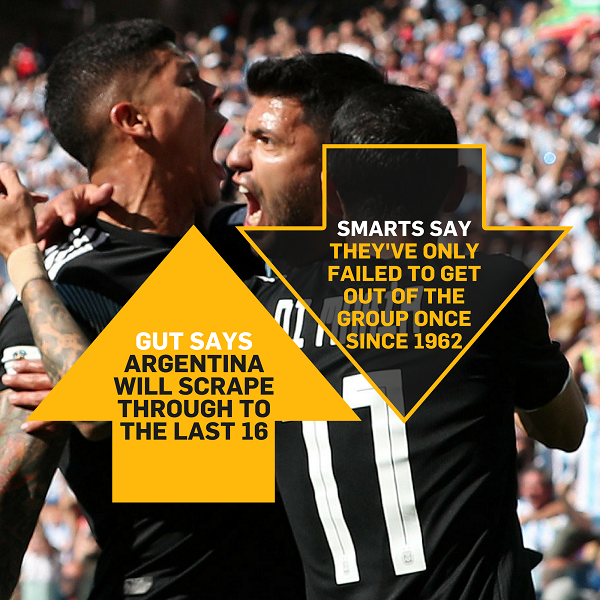 Argentina's struggles - they've failed to win either of their opening two group stage matches for the first time since 1974 - make them a wounded beast here but even so, there's little evidence to suggest La Albiceleste deserve their [1.60] pre-match quotes in the Match Odds market. The South Americans toiled throughout qualification and have obvious weaknesses between the sticks, in defence, in central midfield and on the flanks. Such areas are where opponents Nigeria tend to prosper and having toppled Argentina 4-2 in a November friendly, there's little to fear in Saint Petersburg. The [6.40] underdogs can call upon ball-winners Oghenekaro Etebo and Wilfred Ndidi in the middle of the park, and their superior pace and power in a rejigged 3-5-2 system has the potential to cause serious headaches for an Argentinean outfit that needs to chase the game. Backing Nigeria with a +1 start on the Asian Handicap line appeals at [1.86]. This selection would see our stake returned should the Super Eagles lose by exactly one goal with a draw or victory returning profit. Goals tend to come to the fore in the final round of group games at the World Cup. Since the start of the 1998 World Cup, the average goals per-game seen on matchday three is 2.66 with 51% featuring over 2.5 Goals and 53% paying-out in the Both Teams To Score market. However, the [1.85] available on this particular showdown crossing the over 2.5 Goals whitewash appears fair on first view. Although desperation from both nations could lead to a frantic finish, neither have revealed themselves as prolific performers over the past 18 months.